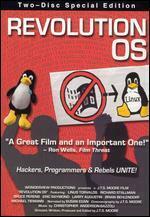 There was a documentary produced back in 2002 about free software, open source, Linux, Gnu, Stallman, and Torvalds. A topic ripe with irony. The ultimate moment was when Richard Stallman was given the “Linus Torvalds Award” at the second Linux trade show. So we have this scene of Stallman earnestly explaining the irony of the award to the audience of 5,000 people while two blond, Scandanavian toddlers (Torvalds’ daughters) are cavorting around the stage in the background. Here’s the irony: Richard Stallman started working on the Gnu system back in the 1970s. His goal was to provide a complete operating system for free, including the source code. Dozens of Gnu programs rolled out over the next several years. The system lacked one key element: the “operating system kernel” that would actually coordinate and run the other programs atop a working computer. Stallman’s people were working on a kernel when Linus Torvalds started work on his own kernel. Linus took a simpler approach and got a much quicker result. Linus packaged his kernel along with the Gnu programs to produce a complete system you could run on a computer. For a working name, he chose “Linux.” The name stuck. Today, as ever, a “Linux system” consists of a vast collection of Gnu programs relying on an upgraded version of the Linux kernel. Stallman would like people to call such distributions “Gnu/Linux” or something like that, but the naming is really the choice of the distributor. Most distributors use the work “Linux” in their title. So the award presentation was just more of the same: the Torvalds children still steal the show from Gnu.